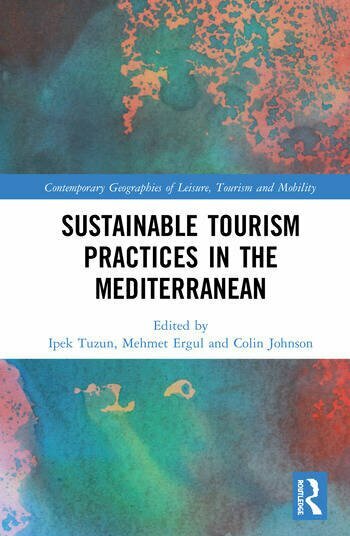 Sustainable Tourism Practices in the Mediterranean showcases and examines the current and future trends in sustainable tourism in this popular region where tourism is one of the leading determinants of economic development. This volume examines the effects of specific recent events including terrorism, financial crises and various political changes in the Mediterranean region. Looking at a range of destinations; island and mainland, urban and rural, summer and winter and emergent and declining zones, it provides a comprehensive overview of this area. It also draws on a number of wide-ranging themes such as gastronomy, (corporate) social responsibility, entrepreneurship, ethical issues, service quality, health and the slow city, offering an insightful study of the challenges the Mediterranean region faces and the sustainable practices that can be implemented in order to overcome them. Written by leading academics in the field, this book will be of great interest to upper-level students, researchers and academics in Tourism, Development Studies and Geography. Professor Ipek Kalemci Tüzün is the director of Institute of Social Sciences and the Head of the Tourism and Hotel Management department at Faculty of Commercial Sciences of Baskent University, Ankara, Turkey. Her areas of research interest include developments in human resource management, social exchange practices tourism in organizations and HRM applications, employee attitudes and behavior, social identification in hospitality operations. Her teaching portfolio includes, Introduction to Hospitality Management, Human Resource Management in Hospitality Operations and Organizational Behavior. tuzun@baskent.edu.tr. Professor Mehmet Ergül has been a faculty member at San Francisco State University, College of Business Department of Hospitality and Tourism Management since 2006. His teaching portfolio includes, Restaurant and Catering Management, Introduction to Hospitality Management, Food and Culture, Tourism Management and International Tourism. He has a wide variety of research interests including food tourism, children’s and elderly populations eating habits and their impact on the hospitality industry, new food products development / sensory evaluation, medical tourism and social entrepreneurship in the hospitality industry. Professor Colin Johnson has taught in seven colleges and Universities in the UK, Switzerland and the US. He has served as the department chair at San Jose and San Francisco State Universities, and also as deputy director at the International Travel and Tourism Institute, Neuchatel, dean of the Domino Carlton International Hotel Management Centre in Lucerne, and the dean and director of research at the Ecole hoteliere de Lausanne in Switzerland. Colin earned his doctorate in economic and social sciences from Fribourg University, Switzerland; MBA from Manchester Business School and a BA from the Open University in the UK. His research interests include internationalization in the hospitality industry, sustainability and social entrepreneurship and gastronomy and gastronomic tourism. He has published widely in leading hospitality, tourism and management journals and has been a keynote speaker for the OECD and travel and tourism conferences in Korea and Europe. He has been a visiting scholar and professor at Macerata University in Italy and at Chemnitz University in Germany. cj7@sfsu.edu.